I just realized that It's been three years, now, since I had my cardiac ablation. So I guess it's serendipitous that I've been wondering about SVT in dogs. Anniversaries can sometimes bring out things in our subconscious, I suppose. I haven't discussed my SVT on the blog, so you may not know what it is. Until I was diagnosed, I didn't either. SVT is short for "Supraventricular Tachycardia," which, if translated literally, means rapid heart rate (tachycardia) in the upper ventricles (supraventricular) of the heart. Having SVT means that your heart's electrical system doesn't work properly. From time to time, for reasons other than exercise, stress, or illness, the heart rate will spike above 100 beats per minute and may reach 300 beats per minute. For some, the condition is mild, but in others, it requires treatment. Whether the patient is human or canine, SVT presents basically the same symptoms. It is somewhat difficult to diagnose, and may be more rare in dogs than in humans. I wonder, though, as I do with other things "dog," that if they could communicate their symptoms the way we can, would we find that more dogs than we realize have SVT? A greater understanding of what humans experience may provide us a window to what dogs go through and how we can help them. When I was a teen, I'd get dizzy spells. Nothing too terrible. Come to think of it, my peers probably just thought I was seeking attention, and my family probably thought I wasn't eating properly. I'd feel short of breath sometimes and was told by doctors that I had "exercise-induced asthma." They gave me an inhaler that never helped. During my twenties, I noticed that I'd feel short of breath a bit more often. I'd occasionally notice that my heart would race for no apparent reason. I brushed these things aside and didn't mention them to others because I had better things to do. There were best friends to party with and cute boys to date. Oh, and there was working my way through college. In my late twenties, I was a married woman, and my husband, Big, started to notice my symptoms. They had become so common to me that I didn't really think about my racing heart or difficulty breathing. I exercised and ate as healthy as a girl will in her twenties. I didn't think anything could be wrong. Big would ask me "why don't you just go get it checked out?" I got pregnant, and the symptoms got worse. My heart would race for longer periods of time, and though I never actually took my own pulse, I could tell that things were speeding up. But every time I went to the doctor, they would tell me that an increased heart rate is normal in pregnancy. As long as I was feeling okay otherwise, there was nothing to worry about. I figured that I was probably just some neurotic first-time mommy, and, of course, my heart rate would never spike while I was at the doctor. Kind-of like when you take your car to the mechanic and the knocking noise disappears, you know? After Porter was born, I found myself bending over much more frequently. Picking up the baby, picking up toys, folding a stroller, hoisting the car seat...I began to notice a pattern. It seemed that almost every time I changed positions rapidly, my heart would race. I started to hide my symptoms because I thought that maybe I was just out of shape or maybe it could be something awful. Either way, it was best to bury my head in the sand. I began to recognize the feeling that would come over me just before my heart would race. I'd get a slow burning in my stomach that would travel upwards. My arms and legs would tingle. I would–on instinct–hold my breath. Sometimes it went away if I held my breath, but mostly not. I became pregnant with my second child, and my symptoms intensified to the point that I couldn't ignore them any more. I would bear down and panic at the onset, and then constantly check my pulse, which would sometimes be so rapid that it felt like a flutter. Episodes would last for hours, and I couldn't stop them. Again, we were told that since I was pregnant, I could be having any number of symptoms. Since most women feel tired and crappy during their pregnancies, I figured that this was part of the deal. I was a tad older this time around, so maybe that had something to do with it. My husband and family became more concerned as my symptoms became more difficult to hide. I started to become fatigued as the episodes became stronger and more frequent. On an afternoon in late December 2008–sometime between Christmas and New Year's–we sat down to lunch with my sister and my in-laws. Porter was there, as well, not yet two years old. I was seven months pregnant with Campbell. We were seated at a round table at Z'Tejas, a local southwestern grill, and we were handed menus. I remember being hungry, as a pregnant gal would be at lunch time. Or any other time. As I glanced over the menu, I froze. I could feel the burning in my stomach, and the tingling in my limbs, and I could feel everything drain out of me. I hoped it would pass, and I hoped no one would notice. My heart was pounding and racing. My mother-in-law, who sat across from me said "Kristen! Are you okay?" Everyone turned to me, and everyone became alarmed. I'm told that the color had drained out of my face. "I'm fine," I said, breathless. "No you aren't," Big said. "I can literally see your heart beating through your shirt." I looked down and I could see it, too. It was the worst I'd felt. "You should go to the doctor," my sister advised. "It will pass," I said. "I'm probably just really hungry. Let's just order and eat, and if it's still like this when we're done, I'll go." Everyone settled in for a moment, keeping their eyes on me. My sister turned to my husband and said "I think you need to take her to the ER right now." My father-in-law picked up his phone to call the ambulance if I refused to go. And, just like that, Big escorted me to the car and lunch was over. For the entire ride to the hospital, I kept hoping it would stop so we could turn around and go back, but it didn't. When we arrived at the ER, they brought me a gurney and took me back immediately, not to triage, but to a private room. Being visibly pregnant must have been my hot ticket. A nurse asked Big and I a few questions and quickly left the room. A few moments later, she dropped the brake on the gurney and wheeled me into a larger room. A doctor and five or so other medical staff filed in behind us. They started hooking me up to various things. They had sticky patches and wires and an IV, and...and...I had to pee so bad! The only explanation I received is that they were concerned about my elevated heart rate, which was steadily hovering between 230 and 240 beats per minute. "May I please use the restroom before you hook me up to all this?" "We'll get you a bedpan," one of the nurses announced. "I can walk," I said. "I'm sorry. We can't let you walk right now, so you'll have to use a bedpan. Let me know if you want one," she explained. "I'll hold it." I said. I decided I'd wait until they were done with me and I'd walk my damn self to the bathroom. Although I felt physically weak, I was still stubborn. The doctor asked me if I'd been diagnosed with anything. They hooked me up to IV fluids while they monitored me and chatted in science, Latin, and numbers that I didn't understand. The IV fluids flowed, and my bladder began to reach capacity. I gave up the fight and requested the bed pan. Long story short, even with my husband's help and the scrutiny of several medical professionals, my pregnant body did not allow me to aim properly and an emergency sheet-changing was in order. At least my bladder was empty. I didn't really care about my dignity any more. The doctor explained to me that they were very concerned about my heart rate and would need to get it under control quickly. They would like to try an intravenous administration of "adenosine." The doctor explained that "the medication goes in quickly and is metabolized quickly, so it does not effect the baby." I wondered why they hadn't just given it to me in the first place. "You need to know what the medication does, so you're prepared," the doctor went on. "It will effectively stop your heart, then restart it immediately, and it's going to feel strange." Sirens went off in my head. How would my baby and I survive if my heart was stopped? And what if it didn't start right back up, as advertised? "What if it doesn't start back up?" I asked. "Well, there's a very slim chance of that, but we have the electroshock ready as a precaution." "Like, the paddles?" I said. I watched ER. "But won't that hurt my baby?" I asked without thinking. "Well, we don't think it will harm the baby, but if your heart isn't beating, then your baby can't survive, so we need to take care of you, first." It went against my motherly instinct, but it seemed I didn't have a choice. When they pushed adenosine into my IV, the affect was immediate. I felt as though I was falling down into a long, dark hole. I was falling through the bed, through the ground...and I was so heavy. I sunk, and I heard myself moan like an animal. I couldn't feel Big's hand holding mine any more. And then, I was there again. My eyes were wild, and I couldn't speak, but I was there, and I was breathing, and I could feel Big's hand again. He was teary, but strong. Everyone was looking at the monitor. "No. It didn't work," the doctor said. "We may have to use electroshock." "NO!" I shouted. "NO." I'd had these episodes plenty of times. I just wanted to get back in the car and go home. No. Not while I'm awake. Not while my heart is still beating. "NO." The doctor was calm, but firm. "Kristen, your heart has been beating at this rate for more than two hours, now. We have to get it under control, or you and your baby are both at risk. If you're insistent, we'll try the adenosine one more time, but if it didn't work the first time, it's doubtful it will work the second time." "I want to try again," I said. "Is there anything I can do to help it work better?" The only thing worse than the adenosine would be getting the paddles. "No, just relax." They called out the dose and prepped it again, and then asked if I was ready. I nodded and sank through the earth again, this time better-prepared for the journey. When I came back, everyone was looking at the monitor again. "Well, Kristen, we got you down to 140," the doctor announced. I smiled and cried. I felt like a prisoner set free. Now I could go home and be with my family. Though my heart rate was still elevated, it was a huge improvement, and it satisfied the medical team. "We'll need to run some more tests, and we'll need to monitor you for a couple of days. Maybe just overnight if we can help it," the doctor said. "We suspect you have Supraventricular Tachycardia, or SVT, but we'll run some tests and send a cardiologist up to speak to you." All I could think about was the fact that it would be my first night away from Porter. But I had something with a name. It was something. At the time, we didn't know what it was, but we soon came to learn that the ER doctor's first instinct was correct. SVT can begin with mild or no visible symptoms. For some fortunate humans and dogs, it stays that way. For others, it progresses. When emotionally willing, I was able to recognize and communicate about my symptoms, which was helpful in diagnosis. Pet parents must rely on observation. So what symptoms or signs should we look for? These symptoms can be difficult to observe in dogs until the condition becomes severe. Supraventricular Tachycardia (SVT) is defined as repetitive supraventricular premature depolarizations (SPDs). As with SPDs, SVT can originate from atrial myocardium or AV junctional tissue. They most commonly occur in humans because of reentry, although automatic SVT can occur...Few electrophysiologic studies have been performed in dogs, but response to therapy (most SVTs respond to calcium channel blocker administration) subset that reentry is also the most common mechanism underlying SVT in the dog. Most SVT in veterinary medicine occurs in dogs. The rate of ectopic focus varies widely in dogs. We have seen rates as low as 150 beats/minute and as high as 350 beats/minute. On an ECG, most SVTs are very regular and many occur for prolonged periods. Some dogs, however, can have very short runs of SVT. Dogs with slow SVT exhibit no clinical signs. Dogs with fast SVT (heart rate usually >250 beats/minute) generally present for weakness or collapse. Doing regular nose-to-tail checks can help pet parents be aware of what is typical for your dog so that if a change occurs, symptoms can be more quickly and easily recognized. SVT can be difficult to diagnose, because the symptoms appear with other types of illness. If your dog exhibits some SVT symptoms and SVT has not yet been considered, it might be worth bringing up to your veterinarian. 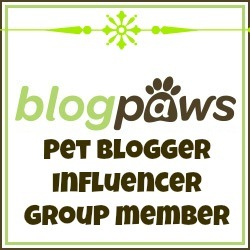 In part two, I'll be sharing how I got my diagnosis and how SVT is diagnosed in dogs. • Case Studies in Small Animal Cardiovascular Medicine: Supraventricular Tachycardia, Mark D. Kittlesson, D.V.M., Ph.D.